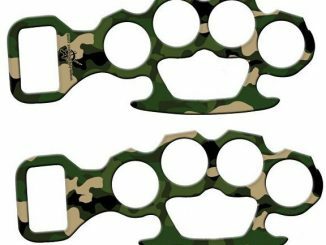 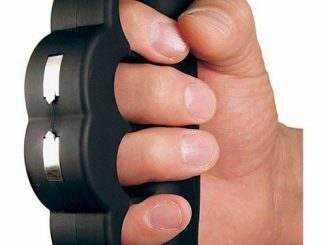 GeekAlerts has shown you several ways to beat stress (Knuckle Pounder Meat Tenderizer, Stress Beater Brass Knuckles) with things that seem like they might be violent, but they really are just good old stress relievers. 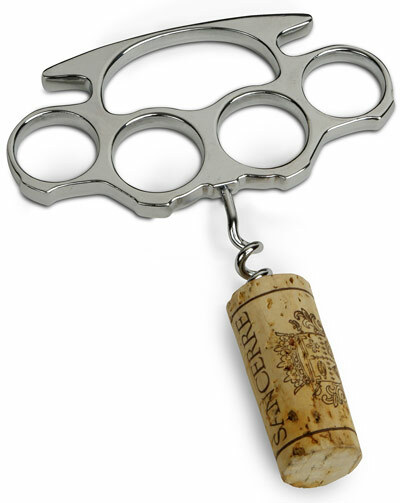 The Knuckler Duster Corkscrew falls into that category. 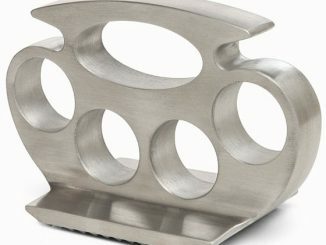 Sure you could put a few holes in somebody with these chrome-plated steel knuckles with corkscrew in the middle, but why go to the trouble of that when you can just sit back and relax with a nice Cabernet. 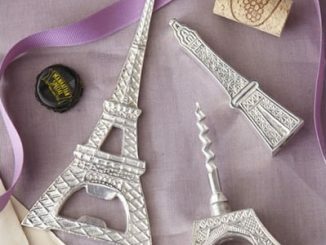 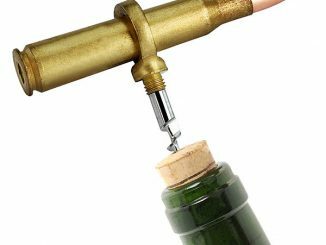 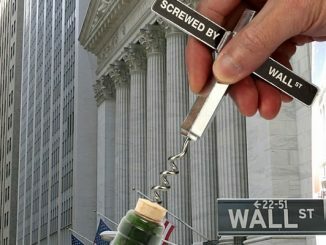 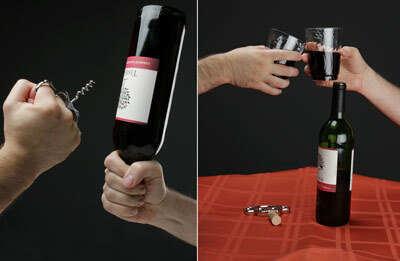 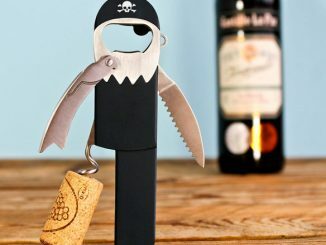 Looks like a weapon, but it’s really just an awesome corkscrew. 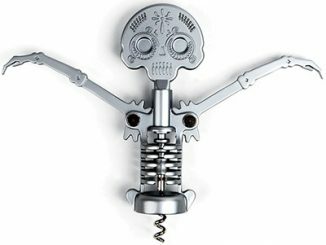 Made out of chrome-plated steel. 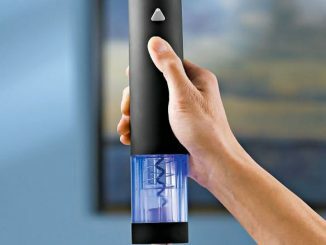 Dimensions approx. 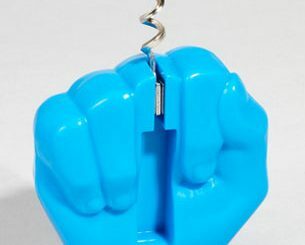 4.25″ x 4″ x 0.25″ (finger hole 1″ diameter). 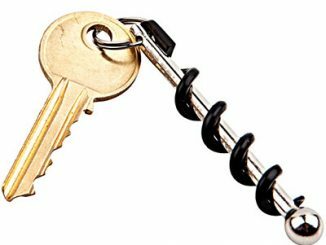 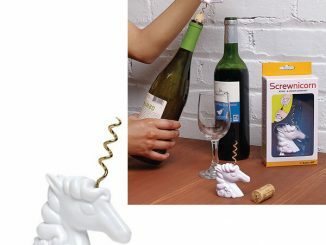 You can purchase the knuckle Duster Corkscrew at ThinkGeek for $9.99.